This book is not about religion, and David Young is not a Christian. 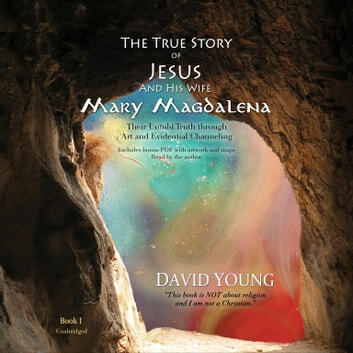 This story is the result of three years of channeled messages from Jesus and Mary Magdalena that came to Young through incredible synchronicities, his artwork, and inner dialogues, which ultimately guided him toward discovering the hidden truth behind history's greatest deception. Jesus and Mary Magdalena's incredible journey of love, family, and survival is uncovered in this presentation of inspiration and channeled messages. This unconventional book will also soothe and inspire you with David Young's heavenly music to accompany this breathtaking, mind-expanding story of true historical events.